This brilliant article by Kate Arends got me thinking. Yes, we have to watch out. Watch out to see in which boxes we put the people we meet. It happens so quickly. Almost uncontrollably. What we can do is reconsider. We put people in boxes so that we can manage our lives. The brain has to in order to process certain information. The crucial point is not putting a lit on those boxes. I’m pretty sure that everyone uses this boxing-system, it would probably be hard for me to trust someone who says that they meet people on a completely unbiased level. Admitting it is not easy, but it’s honest. I think that it is okay to put people into boxes as long as you are ready to unbox them at any time. Don’t close those boxes. Reconsider their lables. It should be easy for people to get out of your box once you put them there. Let’s stick with this metaphor. It is okay to put people in a box as long as you provide them with the possibility to get out. Put a ladder in. 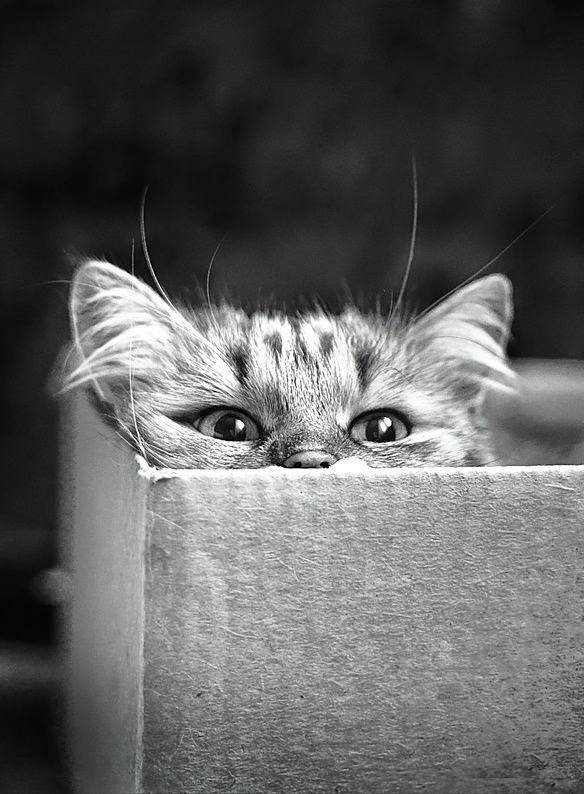 Don’t talk much about your boxes to others, because when you do the possibility of getting out slowly begins to vanish. Go and confront yourself with the people inside. Talk to them. Meet them with open eyes and an open heart. Let them take the first step on the ladder, the second, the third. Maybe they’ll climb into another box you provided - precautionally. That’s okay too, as long as you put the ladder there as well. But there is another thing. The boxes we put ourselves in. Often there is no ladder. Sometimes there even is a lid. Why is it much more difficult to find a way out of those boxes? These boxes resemble the ones we use for other people. Their lables are similar, because both come from experiences or things we saw, read, heard. These images are deeply rooted in our brain, even when our heart tells us that they are wrong. These images are one-dimensional. They don’t allow diversity, they despise individuality. You have certain perceptions of how a job has to be done, of how one should behave in certain situations, of how one should dress and if you don’t live up to them, you’d rather beat yourself up then to reconsider by letting yourself out of the box. You have to put a ladder in. You have to go easy on you. Let yourself out. Tear down those walls. What will happen when you do that? Maybe all those other boxes will begin to disappear as well. Wouldn’t that be something?